This second novel in the Regina Shen series continues the engrossing post-apocalyptic saga begun in the first book. The setting is a world where the ice caps have melted and created two levels of society, and Regina is one of the outcasts here until authorities discover her unique DNA makeup, which holds possibilities for the continued existence of an increasingly threatened humanity. Book One set the stage and should really be enjoyed before Vigilence; but even newcomers to this series will be able to quickly absorb its setting and characters, which open with Regina’s concerns about her new family and threats to its existence. She’s on a mission, hunting for a kidnapped sister – and to do so, she must jump the wall and enter a forbidden world filled with uncertainty and threats. 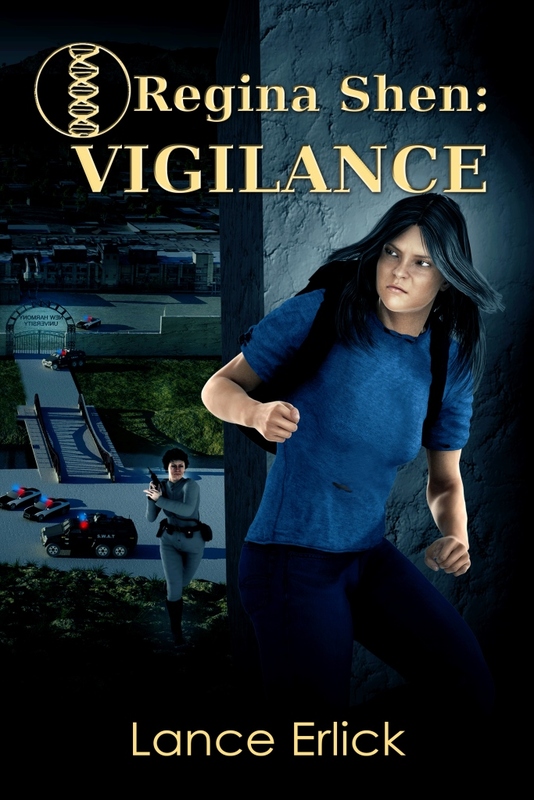 In any fictional account, it’s this level of emotional depth and attention to motivations behind actions that elevate the superior read from the mundane nonstop staccato action thriller – and Regina Shen: Vigilance features this in abundance. From the psyche of the Federation and its different lifestyles (““You want to race?” I asked. “That’s Marginal,” she whispered. “The Federation promotes Harmony, not competition.”“) to nefarious plans to exploit Regina’s DNA for less than altruistic or survival purposes, the story line is fast-paced but loses none of its tension by exploring different protagonists’ motivations and concerns. The result is a gripping sequel in the series, highly recommended for both prior fans and newcomers to Regina Shen.